Anti Terrorist Court (ATC) Rawalpindi No.1 will resume proceeding of Mohtarma Benazir Bhutto Shaheed murder case today (Saturday). Around 15 witnesses have recorded their statements before the court so far. 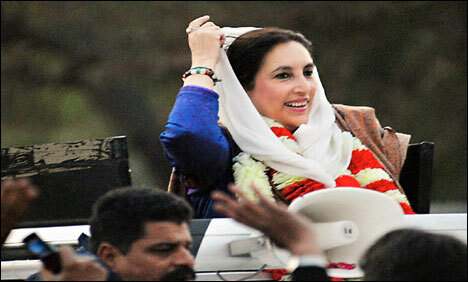 Earlier, on April 18, ATC-I Judge Shahid Rafiq had adjourned the hearing in Benazir Bhutto murder case till April 28. The hearing was adjourned without any further proceedings as the special public prosecutor was busy in the Lahore High Court. Also, Federal Investigation Agency (FIA) Special Public Prosecutor Chaudhry Zulfiqar had filed an application in the court that Special Public Prosecutor Chaudhry Azhar is busy in the Lahore High Court.